Montagu House, named after the first Duke of Montagu, the owner in the 18th century, was the amalgamation of two late seventeenth century houses, plus the distinctive addition known as Park Corner House (seen in the painting), which was built in 1729. 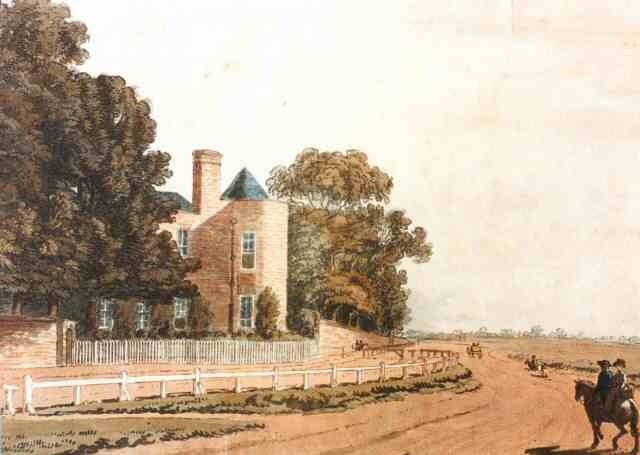 Montagu House was occupied by Caroline of Brunswick, consort to the Prince of Wales (later George IV), from 1799 until 1812. It was demolished in 1815.